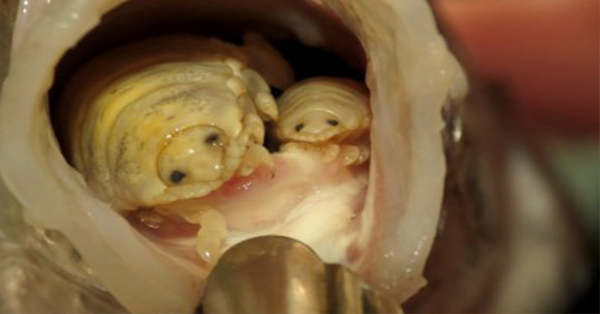 Sounds Strange: This Parasite Is a Certified Tongue-Eater! As defined in some literature, parasites are organisms that live dependently to other organisms. They get nutrients on its host that serve as their food. Most of us know that they are microscopic in size that is why we usually ignore their existence. We also think that they are looking so strange because of their mode of living. But can you imagine a parasite that is seen by the naked eye? 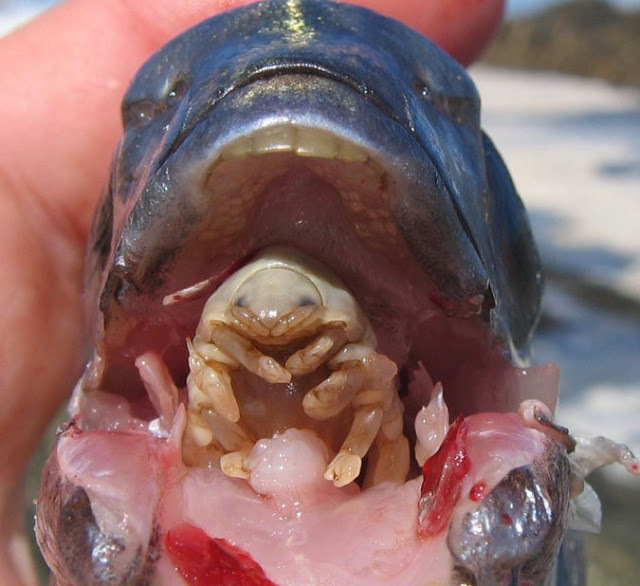 There is a parasite called tongue-eating louse (Cymothoa exigua). These strange-acting creatures belong to the family of crabs and lobsters. They can grow in its host as big as one inch in length. As the name implies, they used to dwell on the tongue of their host. No worries, they do it on fishes, not on humans. They start to live as they got a secured place inside the fish's gills. The time that they grow up, they move to the fish's tongue and begin to eat on the blood vessels which makes the tongue shrink and eventually fall off. The weird thing is that they replace themselves with the broken tongue and eat on the host's blood and mucus. 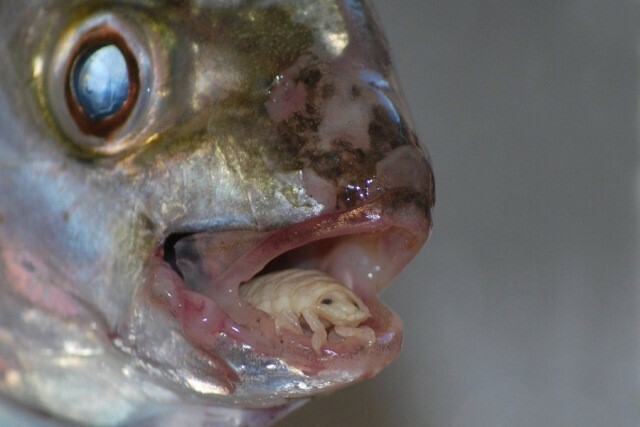 Another weird thing is that they mate inside the host to reproduce another tongue-eating animal. Watch this video to know more about this odd feature.